HomeNew CarsNewsNew Sixth-Gen Volkswagen Polo In The Works For India? 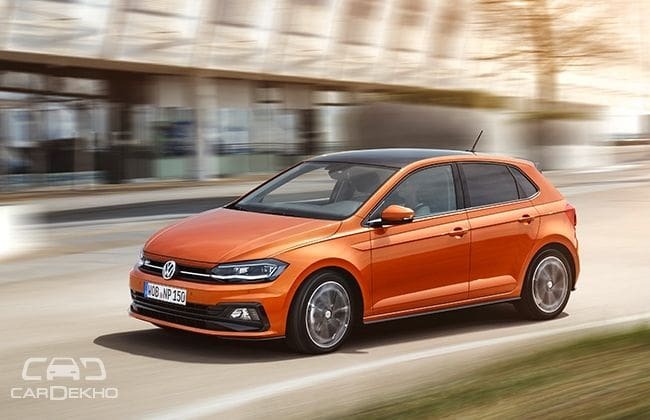 New Sixth-Gen Volkswagen Polo In The Works For India? Volkswagen is set to start a new chapter in its Indian innings which it likes to call India 2.0. Under this, the carmaker plans to take its manufacturing capabilities to new heights by localising its modular MQB A0 platform. By doing so, VW would be able to introduce a pack of new cars with different body styles (hatchback, sedan, SUV and crossover) in mass-market segments and that too in quick succession. One of the first products that could get a new lease of life with this could be the Polo hatchback. Volkswagen introduced the PQ25 platform-based fifth-gen Polo in India in 2010, around the same time as it was introduced to the world. Since then, it has seen minor cosmetic updates and the addition of a few features along with the introduction of new engines. While the Polo doesn’t really look dated, thanks to a mature design that has aged well, its design doesn’t really excite either because it has been around for quite some time now. So, in order to bring it to India, Volkswagen will have to trim the new Polo’s overall length to under 4 metres for it to qualify for tax benefits on small cars. Also, to keep costs in check, VW has commissioned Skoda to localise the MQB A0 in India. In fact, the first product based on the platform is expected to arrive in 2020. The new Polo, which is based on the smallest version of the MQB platform, the MQB A0, was revealed last year, but Volkswagen couldn’t bring it here as soon as its international launch, like the fifth-gen Polo. But, now, with the carmaker mulling over shortening its overall length, we believe the new Polo could finally be on the cards for India.